If you are hurting for a 2011 New Year's Resolution, you might want to consider getting out of debt. One tool that might help you in this pursuit is the Dave Ramsey Show podcast. I've been listening to Dave a couple of years and his advice is so simple that it actually makes sense. 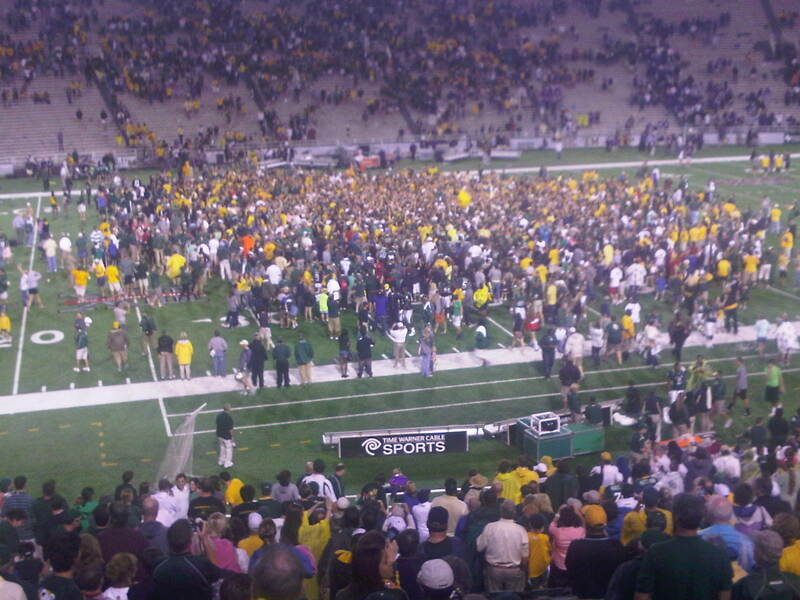 It was just a short while ago that Baylor defeated Kansas State, causing the fans to rush the field in excitement as Baylor became bowl eligible for the first time in fifteen years. Well, tomorrow, for the first time in sixteen years (yes the last time we were bowl eligible we did not get an invite to a bowl thanks to the Southwest Conference's limited bowl agreements), Baylor will be playing in a bowl game. So tomorrow, in front of over 60,000 people at Reliant Stadium, Baylor will play Illinois in the Texas Bowl. So, if you can't be there in person, flip on your televisions at 5:00 p.m. Central Time tomorrow and tune in to ESPN. Put on some green and gold. 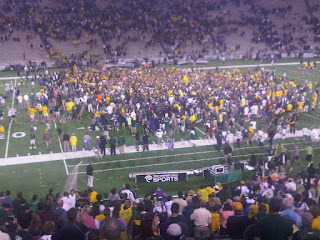 Shout "Heeeeey, Sic Em Bears!" at kickoff. Enjoy the moment.